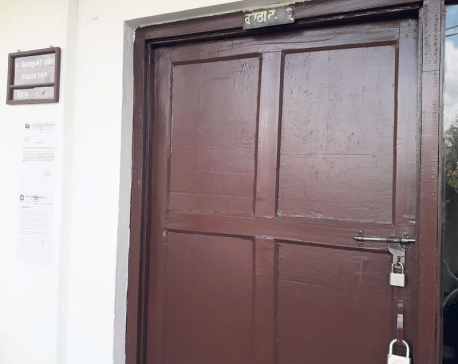 KATHMANDU, Sept 12: Tribhuvan University (TU) has been sharply criticized for negligence after several mistakes were found in the question paper of bachelor's level Creative English exam conducted on August 30. 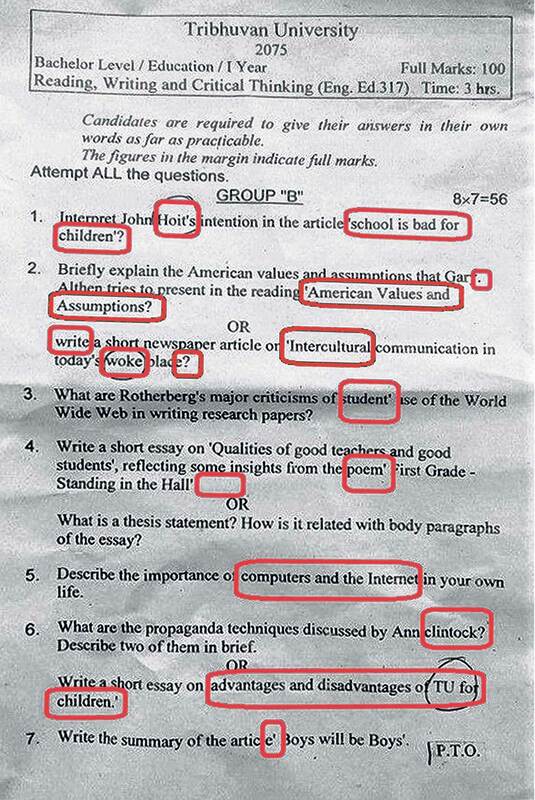 The question paper contained many errors in punctuation, capitalization and even factual inaccuracies. For instance, the first question was printed as: Interpret Johh Hoit's intention in the article 'school is bad for children'? In the question, American Author John Holt was wrongly mentioned as 'John Hoit'. The question also missed capitalization while mentioning the author's article. Likewise, question mark was used instead of a full stop. Most of the questions on the first page contained several obvious grammatical mistakes. Hundreds of people criticized the negligence on social media platforms, including Facebook and Twitter. Prasanga Pant, a Facebook user, wrote that the question paper was being examined instead of the answer sheets. Another Facebook user lamented that such incidents drag down Nepali students' credibility abroad. Despite the widespread criticism, TU exams controller Pushpa Raj Joshi tried to dismiss the incident as 'minor mistake'. 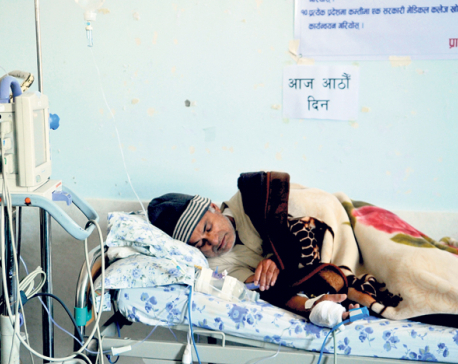 “We have corrected the mistake right after we noticed it,” he told Republica. Joshi, however, did not mention why such negligence happen time to time. Of late, the university is being criticized from various quarters over the quality of education it offers, unchecked plagiarism and incidents of negligence.